LG wants supremacy in superphone land with its new quad-core Optimus G flagship and it wants it bad. The South Korean firm has just unveiled its Qualcomm Snapdragon S4 Pro-equipped Optimus G and by the looks of the official specifications of the device, this smartphone is well beyond worthy of being called a superphone. The device is equipped with a quad-core 1.5GHz Snapdragon S4 Pro APQ8064 CPU that is expected to blow the competition out of the water. It features 4G LTE integrated with its chipset and will work with both CDMA and GSM bandwidths making it a true world phone. The Optimus G is also equipped with a 4.7-inch WXGA True HD IPS+ screen with a resolution of 1,280 x 768 pixels. Helping the quad-core S4 Pro CPU of the Optimus G – not that it needs a lot more help, for that matter – is an Adreno 320 graphics processing unit and not 1 but 2GB in RAM which should take care of all your app needs. The Optimus G will also come equipped straight out of the box with Android 4.0 Ice Cream Sandwich and you can be sure that this device will be updated to Android 4.1 Jelly Bean. Tucked in that slim 131.9 x 68.9 x 8.45 mm frame are its 13-megapixel rear camera, 1.3-megapixel front camera and a big 2,100 mAh battery. The LG superphone will be available in South Korea in September followed by launch in other markets soon after. This is the same smartphone Qualcomm and LG have teased us here and here. Read the full LG announcement after the break for all the official specifications goodness. SEOUL, August, 28, 2012 -– LG Electronics (LG) revealed its newest premium mobile device with the announcement of the Optimus G, a high-end smartphone that offers powerful performance, an elegant and sleek design, and an innovative user experience. As the first LTE device featuring Qualcomm’s Snapdragon™ S4 Pro Quad-Core processor, Optimus G will set the foundation for every future premium smartphone from LG. 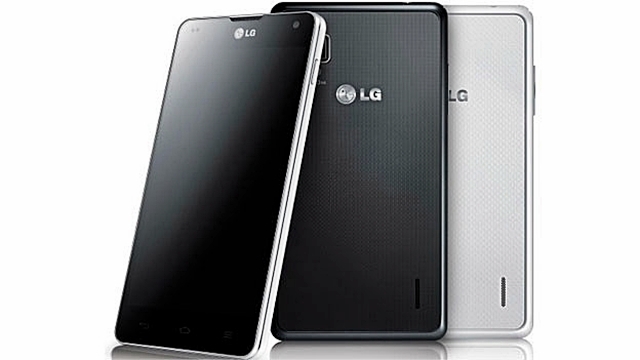 To offer the best smartphone to consumers, LG gathered industry-leading partners and technologies to develop the Optimus G. In collaboration with Qualcomm, LG developed the Optimus G with the goal to be the first LTE smartphone with the Snapdragon™ S4 Pro CPU. LG also joined hands with vertically-integrated sister companies LG Chem, LG Display and LG Innotek for the ultimate battery capacity, viewing and user experience. The Optimus G will be the first commercial and global smartphone to offer the Snapdragon S4 Pro (APQ8064) processor with a Quad-Core Krait CPU, LTE supported capabilities, and the newest generation Adreno™ 320 GPU. The Snapdragon S4 Pro runs at 1.5GHz and features Asynchronous Symmetric Multiprocessing (aSMP), which enables each core to power up and down independently, for maximum performance with better battery life. Furthermore, the Adreno 320 is over three times faster than the Adreno 225 found in previous Snapdragon processors for an enhanced gaming experience with faster frame rates, smoother play and support for higher HD resolution displays. With help from LG Display, the Optimus G sports a beautiful 4.7-inch WXGA True HD IPS+ Display with 320ppi high pixel density (1280×768 pixels) and Stripe RGB IPS Panel with 15:9 aspect ratio. LG Display pushed the boundaries of its technology to offer True HD IPS+ Display, which is sharper and crisper with color accuracy of sRGB 100 percent to show natural and life-like images. Moreover, the Optimus G will be the first smartphone to be equipped with LG Innotek and LG Display’s newly developed G2 Touch Hybrid Display for touchscreen panels (TSP). The G2 Touch Hybrid Display is thinner than current TSPs and offers the slimmest panel display with no diffused reflection for clearer and sharper visibility, even outdoors. Thanks to the new technology, the thickness of the screen panel has been reduced and the screen itself is much stronger to withstand damage from impact. Lastly, LG Chem developed a high-density 2,100mAh battery that provides more power capacity and prolonged charging cycles. The new battery technology extended the battery lifespan to 800 cycles at 80 percent charging capabilities, much greater than the lifespan of 500 cycles in regular phone batteries. Cheese Shutter takes a photo when a voice command is spoken. The added UX features are anticipated to provide instant and intuitive productivity to complete tasks beyond simple multitasking. LG maintained its differentiated design philosophy with the Optimus G. The Optimus G is encased in an eye-catching slim body epitomizing timeless beauty that perfectly demonstrates LG’s design philosophy. Premium glass is utilizied on the back cover with a polarized glass pattern that offers a clean, modern look. The G2 Touch Hybrid Display contributed significantly to the design of the Optimus G as it reduced the thickness of the device enabling Optimus G to fit more comfortably in the hand. And the jet black front display flows smoothly into the body for a seamless look with no gaps. NTT DOCOMO will be the first to unveil a Japanese edition of the Optimus G. The global version of the device will be launched in Korea in September, followed by other markets worldwide.